Wellsway School expects the highest levels of attendance, and every student should aim for 100%. Full attendance is a critical factor in ensuring positive educational outcomes and that our students reach their social potential. We are committed to providing high quality inclusive learning opportunities for all students. Any problems that impede full attendance need to be identified and addressed as quickly as possible. If a student at Wellsway School will be absent then we ask that the parent or carer call us on each day of absence. If a student's attendance rate is 100% they are likely to achieve or exceed what we would normally predict. If a student's attendance rate falls below 90% they are likely to achieve an average of one grade lower than expected in all subjects. If a student's attendance rate falls below 80% they are likely to achieve an average of two grades lower than expected in all subjects. The school can only grant leave of absence during term time for exceptional circumstances. Any request for leave must be made in writing for the attention of the Principal in advance. Wellsway School follows the Local Authority’s guidelines to address attendance which may include the use of statutory powers which involves the use of Penalty Notices and Court prosecution. Parents wishing the school to consider granting leave of absence in school term time should read these notes carefully and then complete the Absence Request Form. This form should be sent to the school in time for the request to be considered well before the desired period of absence. Parents are strongly advised not to finalise any arrangements before receiving the school’s decision on their request. In any event the request form must be received by the school at least two weeks before the departure date to allow sufficient time for appropriate consideration. The granting of leave of absence in school term time is, by law, a matter for consideration and decision by the school. There is no automatic right to any leave in term time. The Department for Education (DfE) and our policy is that family holidays should not be taken in school term time. Where such requests are made, for the leave to be granted, the Principal will decide if there are exceptional circumstances. students on examination courses will not normally be granted leave of absence. Wellsway School requires all students in Years 7-11 to wear uniform. Our uniform promotes a distinctive and smart appearance both inside and outside school, identifying the wearer as a student of Wellsway School. Our uniform requirements are intended to be clear and unambiguous. Please note that only uniform styles specified by the school, available through our uniform stockists, are acceptable. The School supplier is Scholars, Bath Outlet Shop, 4 Terrace Walk, Bath, BA1 1LN. Tel: (01225) 462206. Many thanks to all of our parents/carers who took the time to fill in a survey form at one of our parent/carer evenings in the last twelve months. We received an incredible response, with almost four hundred families expressing their views, approximately one third of our school community. The anonymous questionnaire was based closely on the questions which Ofsted, the body responsible for monitoring standards in schools, use to judge parental satisfaction at schools across England. In addition to this, we were really pleased to find that satisfaction in our communication systems has continued to improve, with 91% feeling that they receive valuable information in relation to progress. The survey has also helped us to identify areas for development. Whilst the majority of parents are either unaware of bullying incidents at Wellsway, or are satisfied with their knowledge of how we deal with them, 15% of our parents and carers voiced concerns. Likewise, 15% of our parents felt that behaviour is not always good. We have recently reviewed and improved our behaviour systems and will continue to seek the opinions of students, parents and carers to ensure that these changes have a positive impact. The number of bullying incidents reported at Wellsway is extremely low and we therefore urge you to contact us at enquiries@wellswayschool.com if you have any concerns in relation to your child or another individual. Finally it was really helpful to read the comments which some parents and carers chose to add at the end of the survey. We are particularly grateful for the many comments thanking our staff for their dedication and hard work. Learning and progress for all, regardless of need and supporting everyone. At Wellsway our aim is for all learners will access a broad and balanced curriculum in a safe learning environment and there will be clarity of provision for them. All learners are valued, no matter what the differences are in their abilities or behaviours and every child matters. Students have a Special Educational Need or Disability if they need support in or have difficulty in accessing the curriculum that is in addition to or different from other students of their age. This can be a temporary or long term issue. We support students in the context of their own individual needs and in liaison with parents, carers and other professional organisations. What does inclusion look like at Wellsway School? A focus on Integration not Exclusion for students with SEND. How can I talk to the Director of Inclusion about my son / daughter? You can contact the Director of Inclusion by telephone or email: enquiries@wellswayschool.com FAO Director of Inclusion. How will Wellsway support our son / daughter’s transition to and from school? Wellsway liaises closely with the feeder primary schools. As soon as we know who is coming to us we ensure that every child is visited in their primary setting, provided they are living within reasonable distance of the B&NES / Bristol / South Gloucester areas. Should your child require extra support for transition, this can be arranged in collaboration with the primary school. How does Wellsway know if a student needs help? If a concern is raised by parents of a student that their child is struggling. How is the decision made about what type and how much support my son/daughter will receive? Each student is assessed individually and a personalised package of support is put in to place, dependent on need. Meetings are held between the Director of Inclusion and parents when a need has been identified. These will then be implemented and teaching staff will be advised of a students’ need. This will also be reviewed regularly. Additional assessments from outside agencies are used for students with complex needs. This will be done when a full and comprehensive range of support in school has been pursued. How can I find out whether my son / daughter is dyslexic and how will s/he be supported? Provided evidence has been submitted by your child’s subject teachers that suggest that s/he struggles with reading, writing and/or processing, we can carry out tests which indicate whether your child has dyslexic tendencies. However, we cannot provide a diagnosis of dyslexia. This can be organised by parents /carer though external organisations such as dyslexia action. Students who are dyslexic may receive targeted intervention work through small groups or access to a word processor. Coloured overlays are also available from the Inclusion Centre if a student finds this helpful for reading. Regular strategies are also discussed with staff to support students with dyslexia. How do I know if my son / daughter requires special consideration for exams? In exceptional circumstances, some students require access for exams such as extra time, a scribe or a word processor. Some students also require rest breaks. In order for these access arrangements to be granted, evidence needs to be collected from subject teachers by the Inclusion team that proves that the nature of the special consideration is the student’s normal way of working. Wellsway School has to follow criteria set out by the Joint Council for Qualifications (JCQ). A learning need such as dyslexia does not automatically mean that a student is automatically entitled to access arrangements and in cases where a student does not use the arrangement provided, then it is rescinded. Further information can be found on the JCQ website. What support will there be for my son / daughter’s wellbeing? 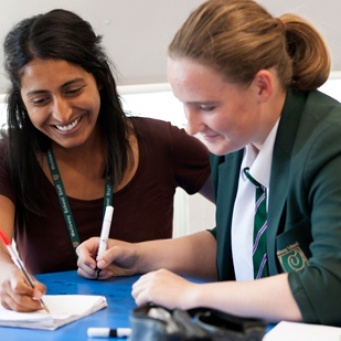 Your child’s tutor will be the first port of call for any issues that may arise and our tutors are well trained in offering high quality help and advice. We offer a comprehensive and supportive pastoral system with dedicated House teams who support young people through what can be a difficult time in their lives such as the transition from childhood to adulthood and the pressures that that will bring. Student Support is positioned in the centre of the school and the Head of House and Learning Mentors can be found there along side our Attendance Improvement Officer, the School Nurse and our voluntary counsellors. For students with complex emotional needs we have The Haven which is run by our SEMH (Social, Emotional and Mental Health) manager who offers therapeutic help and advice. What if my son / daughter has a medical condition? Students with a disability or who are taking regular medication during the school day will have a Health Care Plan that is overseen by the school nurse. Students who are struggling to access school due to illness may need a Medical Action Plan. This is created by our Attendance Improvement Officer in liaison with parents, medical professionals and a member of your child’s House team. Access Wellsway School's exam information. We believe that homework makes an invaluable contribution to students’ progress and should be used to reinforce or extend what is learned in school as well as to support students to develop effective independent learning habits. Students are expected to undertake homework to the best of their ability and we hope that they will feel a sense of personal satisfaction after completing tasks and from these efforts recognised and celebrated. We ask parents and carers to support us in supporting their child’s independent learning by providing a suitable space for completion of tasks and ensuring that homework is completed on time and with maximum effort. We understand that homework is often an area of anxiety for students starting at secondary school and we try to do everything we can to help them to manage this transition. Students should expect to complete one to two homework activities each school day and the schedule (attached) indicates the number of expected homework activities and the suggested evenings on which they might be completed by students. What kinds of tasks will my child be set? We want homework to be a productive use of students’ time and, where possible, for students to enjoy completing these tasks. Students have told us that they prefer variety in the tasks set and to have choice where possible and so a wide range of tasks and projects are set, ranging from interviews and experiments to research and essay writing. Where appropriate, homework will be set according to student need. How will my child record their homework? We know that the vast majority of students prefer to use our online platform Insight to manage their learning outside the classroom. We have extremely positive student and parent voice about how helpful Insight is for organising student work and managing deadlines. All homework is set using Insight so students and parents can easily see what has been set and access any necessary resources and we thank our parents for their support in checking deadlines and helping to ensure homework is completed and deadlines met. For those students who need extra support with organisation or for where access to Insight is more difficult, we provide physical personal homework organisers and extra support in time management and organisation. How will I know how to support my child with their homework? We ask parents to check Insight regularly to see what has been set and to have regular conversations with their children about what they are working on. We also provide a homework club after school from Monday to Thursday and our school library is open at break and lunch with access to IT facilities. What if I have a question about the amount of time my child is spending on their homework or the homework being set? We ask parents to send any queries via enquiries@wellswayschool.com stating the nature of the query and the subject where there is a particular question. All email is directed to the relevant subject teacher for response. How do I find out more about Insight? If you have any problems, please email the helpline insight@wellswayschool.com. The Year 6 Open Evening provides prospective parents with the opportunity to find out more about how Insight works. Who can I talk to about worries with homework? Parents are asked to speak to their child’s tutor for general worries and subject teachers for subject specific questions via enquiries@wellswayschool.com. We expect all students to be on the premises for 8.40am to ensure they have time to get to lessons. Students are not permitted on the school site before 8.20am, unless they are involved in a pre-arranged, supervised activity. Wellsway School's catering facility uses a cashless system. For more details please see our cashless catering information guide (Pdf, 562kb) which parents/carers and students may helpful. Breakfast is served in Lansdown Hall 8.20am-8.40am daily. Prices range from 40p-£1.50 for items such as juice, cereals, toast, beans/egg on toast. Bacon sandwiches and a big breakfast (bacon, scrambled eggs, beans and toast) are available as a Friday special. For more information see the breakfast menu (pdf, 562kb). Students entitled to free school meals and pupil premium will be able to discretely claim a free breakfast. Students are able to choose from a wide variety of break and lunch options available in Lansdown Hall and from the outdoor service point situated near the Glastonbury Building. Sixth Form students also have access to their own cafe, Shades, situated within the Sixth Form Centre. If your child if entitled to free school meals their cashless catering account will be topped up with £2.50 each day. The menus currently available are attached for your information. Please note that there is a three-weekly rotation of the Menus 1, 2 and 3. For ease, dates are provided at the top of each menu to assist you with meal planning for your child. Registering your child for free school meals (FSM) means that your child can buy food at break and/or lunch free (subject to a maximum of £2.50 per day) and that Wellsway School will also receive extra money as a result. The Government is providing additional money to schools to help children from families who qualify for FSM. This funding is called the 'Pupil Premium'. Your child can use the school canteen at break and/or lunch for a set amount every day. Please register to make sure that your child doesn’t miss out. Please see the list below to see if you qualify. Registering is quick and easy – if you think you qualify, contact the Bath & North East Somerset Free School Meals Team on 01225 394317 or e-mail: freeschoolmeals@bathnes.gov.uk. You may not even need to complete a form. If you do want your child to have a free meal at lunch and/or break then this will save you around £400 a year and the school will also receive extra funds. If your child is eligible for FSM but you don’t want him or her to have the meals that is fine but we would ask you to continue to apply anyway. This is so that the school still receives the Pupil Premium to which we are entitled through your child's eligibility. If you do register for this service the school will not share this information with anyone else. This will not affect any other benefits that you claim. Parents and carers can now pay for school trips and visits with a debit or credit card via Tucasi online payments. If you would like further infomraton about online payments please contact the school. Insight Portal is designed to significantly improve the quality and accessibility of information for students, parents and carers. Insight Portal is a secure on-line system which means that parents/carers are able to log onto the website using a personal user name and password to access up to date information about their child’s progress in school. Through a number of screens they are able to see, at a glance, information about homework, attendance, behaviour, timetable, exam extries and results. They are also able to view on-line all the school reports and reviews for their child since the start of year 7. Wellsway School makes every effort to ensure we hold the correct contact details for you and your family and any other person we should contact in an emergency. The Parent Portal will allow parents and carers to check the information we hold and enable send an automated message to the portal administrator if details need to be updated. If your child has any special educational needs you can check our record of these. Insight Portal is also designed to be a convenient way for parents and carers to monitor their child's attendance. Daily registers (morning and afternoon) record the students' attendance ‘live’. If a child is absent because of illness the Parent Portal can be used to notify us of the absence on the ‘Report Absences’ page. The system can also be used to notify the school of planned absences in the future, for example medical appointments. Please note, however, that it is not possible to request holiday absence through Insight as family holiday must not be taken during term time. Insight Portal provides parents/carers with up to the minute information about their child's timetable and even rewards and sanctions from class to class! There is a very helpful section which contains information about students' examination entries, exam timetable and results. Please see the Insight portal guide for more information about the system and what it can offer. We would also be grateful for any feedback about Insight to help inform our future development of the system. Wellsway School is committed to supporting the emotional well-being and mental health of all members of the school. This forms an essential part of the school’s ethos. We firmly believe that emotionally healthy and resilient students will become strong independent learners and responsible citizens within the community. The Wellsway School positive mental health guidance document has been created to summarise the school’s approach to developing positive mental for parents and carers. It is an excellent source of advice and can be be found at the link below. Wellsway School takes seriously its responsibility to protect and safeguard the welfare of the children and young people in its care. The welfare and safety of the children in our care is of paramount importance to us and we foster a culture of vigilance among staff, students and parents/carers. We always listen to children and take their concerns seriously. To help us do so, we stay well informed about both national and local issues and are proud to have taken part in both national and local campaigns and training programmes to develop systems to positively promote student welfare alongside staff understanding and knowledge around key issues our young people may be facing. Please feel free to contact Mr Paul Comber (Designated Safeguarding Lead for Wellsway School) email: safeguarding@wellswayschool.com or telephone the school if you have any concerns in relation to students being at risk. Online safety: what do parents need to know? The safety of the children in our care is of paramount importance to us. We foster a culture of vigilance among staff, students and parents/carers. We always listen to children and take their concerns seriously. Wellsway School has shown our commitment to protecting our pupils online and have worked with National Online Safety to deliver an interactive online workshop for all of our parents and carers. Please see our child protection policy (Pdf) and anti-bullying policy (Pdf) for information about our current protocols and procedures or visit Childnet's hot topics for more detailed information on topics such as social networking, online grooming, gaming and downloading. If a Wellsway student is found to have made an unpleasant remark/comment about another student then they will be punished even if this has taken place outside of school. If a student makes an inappropriate or unpleasant remark about the school or a member of staff then the student will be punished for this gross lack of respect. Parents/carers will always be involved if we ever have to deal with these issues. Adults can approach your children online in order to make contact with them. Sometimes these adults will pretend to be children in order to build trust. When trust has been established your child may be asked to send a picture or to speak online using a camera or other device. In the worst cases adults can pose as children and arrange to meet in public without you being aware. Adults and sometimes, other children, have been known to ask children to send indecent images (naked pictures) using Facebook, Twitter or email. To receive these images is a criminal offence for any individual and punishable in law. Sadly, on-line predators are at work across the region attempting to lure children and young people every day of every week. One of the best way to stop this is for parents/carers to carefully monitor activities at home and to never allow children to use computers and electronic devices without appropriate supervision. Parents/carers must also ensure that all devices have appropriate security settings to make sure that children do not see things that they should not and so that they can be well protected from predatory adults. The guide also alerts parents to the most popular sites used by children to access adult sexual materials as well as to send and receive sexual images of themselves. To view the careers information please click here. We are an organisation of parents and teachers working hard to raise money for Wellsway Academy. We meet every second Wednesday of the school term in the evening at 7pm in the Wellsway School conference room..
Over the years we've bought all sorts of things to improve the school environment including: bird-watching cameras; library furniture; washing machines for PE; outdoor seating; digital projectors; and science equipment to name just a few! We are now trying to raise funds for a new 'food shack' to help reduce queuing in the dining hall. PTA meetings take place on the second Wednesday of each term from 7pm - 8pm. win and lose with equal grace. Our extra-curricular programme will help you to grow into a confidents and mature young person who is ready to cope with challenge. Typically, students have access to clubs outside of lessons in all major sports (e.g. netball, rugby, hockey, football, cricket, rounders, tennis and athletics). We also run a varied programme of tuition and performance in music and drama. 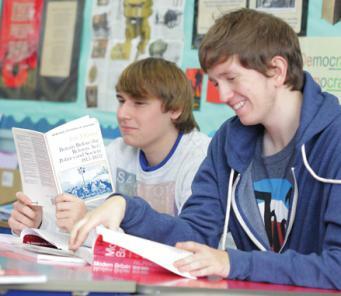 Many subjects run clubs to promote intellectual growth and participation such as our debating society, science club and voluntary religious and community groups. These evenings are designed to allow you to meet your child's teachers and receive information about what is going well and what can be improved. The Insight online portal is our preferred booking system for all year groups. If you would prefer to make a booking by telephone, please ring our reception desk and ask for assistance from your son or daughter’s Learning Mentor or, for Years 12 and 13, the sixth form team. Shortly before each Parents' and Carers’ Evening, the Insight system will be opened to parent/carers, allowing you the opportunity to make appointments. We give notice of the exact date. The booking system will close two days before the event. In the unlikely event of school closure, an announcement will be made via the school website and the Local Authority will also be notified. To allow parents from outlying areas to pick up their children earlier in the day. You should call at reception in the main building and ask us to find your child. There is no need to telephone first. Staff are our most important resource and are valued, supported and encouraged to develop personally and professionally within a learning and caring community.